Our local cocktail scene continues to garner a stellar reputation, with 12 bars in Singapore making it to the Asia’s 50 Best Bars 2018 list. We have to thank our ultra-talented bartenders for that, as they continue to push creative boundaries using a variety of world class spirits. And unless you’re a seasoned cocktail hound, chances are you’re unlikely to be familiar with the staggering breadth of spirits—from across continents and time—that bartenders are adopting in the world of mixology today. But, if you’re looking for insight into more adventurous alternatives to the norm— humble distillations that are fast gaining favour at some of the city’s hippest watering holes—these four unique spirits from various corners of the globe are starting to make their mark on cocktail menus island-wide. Aquavit—or akvavit—is a spirit of Scandinavian origin that’s distilled from grain and potatoes, and infused with herbs and spices such as caraway, dill, aniseed, or fennel. It’s in the same family as gin, but unlike gin, whose predominant flavour comes from juniper berries, caraway is the main flavour in this spirit. Aquavit may sound all modern and fancy, but its origins go as far back as the 15th century. It is enjoyed throughout Scandinavia as an aperitif and especially during special festivities, but increasingly mixologists are leveraging aquavit’s herbaceous, dry quality to add complexity to their cocktail creations. To taste aquavit in its purest form, grand lobby bar Atlas—better known for its towering column of gins and a sprawling champagne collection—carries Linie Aquavit from Norway. But if you prefer to try it in a cocktail, rum bar Sugarhall uses Aalborg Akvavit in its Plum Sour to provide a spicy punch to round out its whisky and umeshu plum liqueur base. If you’re feeling adventurous though, ask bartender Sam Loh to put together his delicious yet-unnamed off-menu riff of a Yokohoma, also made with Aalborg Akvavit; we hear it’s so good, it’s going into the next iteration of Sugarhall’s cocktail menu. Commonly spelt arak, and not to be confused with the similarly named anise-flavoured, grape-based alcoholic spirit popular in the Middle East and North Africa, the highly- aromatic arrack of the Indian subcontinent and Southeast Asia is made from distilling the fermented sap of coconut flowers, sugarcane molasses, indigenous grain such as red rice, and/or fruit. Arrack is one of the oldest known distilled spirits and, in fact, predates rum; during the 17th century, Batavian arrack—which originated from the island of Java—was commonly used to make alcoholic punch. Rum may have relegated arrack to the back bar, but bartenders tend to have a bottle or two hidden for experimental purposes. At Native, which has amassed multiple awards for its approach to using foraged ingredients and spirits indigenous to this region, arrack is officially on the cocktail menu. Its Pineapple Arrack—a Ceylonese coconut arrack-based tipple that helped skyrocket the cocktail bar to stardom since it opened—is no longer available, but the Arak Bali is a new offering that employs a Balinese rice-based version of the spirit that’s just as tasty. The humble Brazilian cachaça is one of the most widely-consumed spirits on the planet, possibly because it’s the spirit of choice for pretty much every Brazilian. With a population of over 180 million in Brazil and cachaça being present in every Caipirinha drunk at every street party from Rio De Janeiro to São Paulo, we can imagine why that’s the case. A type of rum, cachaça has also come a long way in its 500-year history, and that story is intricately linked to the country’s sugarcane industry, and its history of slavery. Cachaça is made by huge industrial conglomerates that sourced them from tiny small-batch, family-owned producers across the country. Quality also ranges widely, with un-aged industrial cachaça produced using high-volume column stills (much like cheap vodka) on one end, to rare artisanal small- batch sipping aged cachaça made using pot stills on the other. Increasingly bartenders are discovering the complexity that the latter can bring to the table. 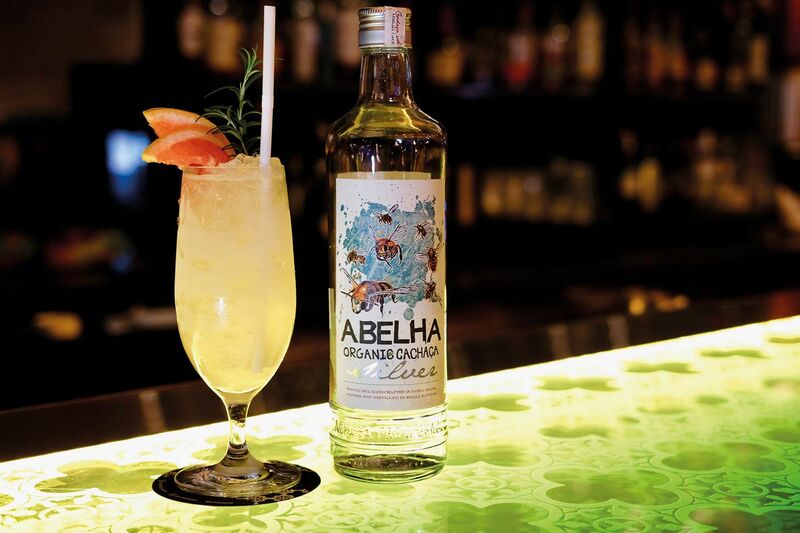 Try the off-menu Monte from Anti:dote head bartender Bannie Kang who uses organic Abelha Silver cachaça to give the tipple a spicy, fruity kick. For cachaça neat, head over to PS.Cafe at Martin Road for some Sagatiba Velha, which is double distilled in a pot still and then aged for at least two years in American white oak for a richer, mellower flavour. Otherwise, Origin Bar at Shangri-La Singapore carries Capucana and Leblon. When it comes to distilled spirits, the Land of the Rising Sun may be best known for its traditional shochu, and more recently, its Scottish-style whiskies. But on the Japanese island of Okinawa is another distilled beverage that’s similar to shochu yet distinctively unique. While shochu is typically made from rice, barley, sweet potatoes and even buckwheat, awamori is made from a specific variety of long-grain rice most if not all of which is imported from Thailand. In fact, awamori’s origins lie in Thailand where the technique of distillation was introduced to Okinawa, when it was part of the Ryukyu kingdom from the 15th to 19th centuries. As with shochu, awamori is typically enjoyed neat, with water, or with ice. But creative Japanese bartenders have begun to incorporate awamori into cocktails. It’s harder to say how the spirit was introduced to the Singapore market, but when Okinawa became a logistics centre between the Japanese mainland and Singapore (when in 2016 the Japanese Ministry of Agriculture, Forestry and Fisheries teamed up with ANA Cargo to offer faster and more frequent delivery of Japanese products), awamori became more readily available. Today, you can try awamori the traditional way at Okinawan diner Nirai Kanai in Liang Court, where they have a selection of awamori to go with Okinawan cuisine. Awamori may not have gotten into our cocktails here in a big way as yet, but Gibson principal bartender Gento Torigata will make you an awamori-based tipple if you ask nicely.